When the between-season remix party was announced at Project Run & Play I was really excited. 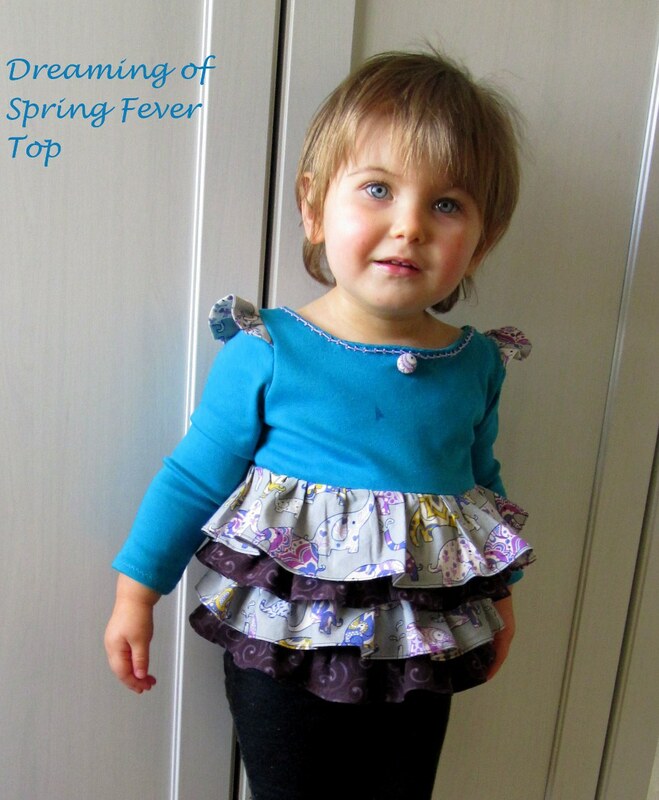 I love a good remix and Jess from Me Sew Crazy’s Spring Fever dress looked like a fun pattern to play with. The only problem was time. I had a bunch of things already on my plate and more in my head so I thought it would be best to sit this one out. Then I decided late Wednesday night that I couldn’t sit out hehe. I jumped right in and designed a top using a lot of the elements of Jess’ dress. Since it was snowing at the time and just overly miserable out, I couldn’t call it spring fever. 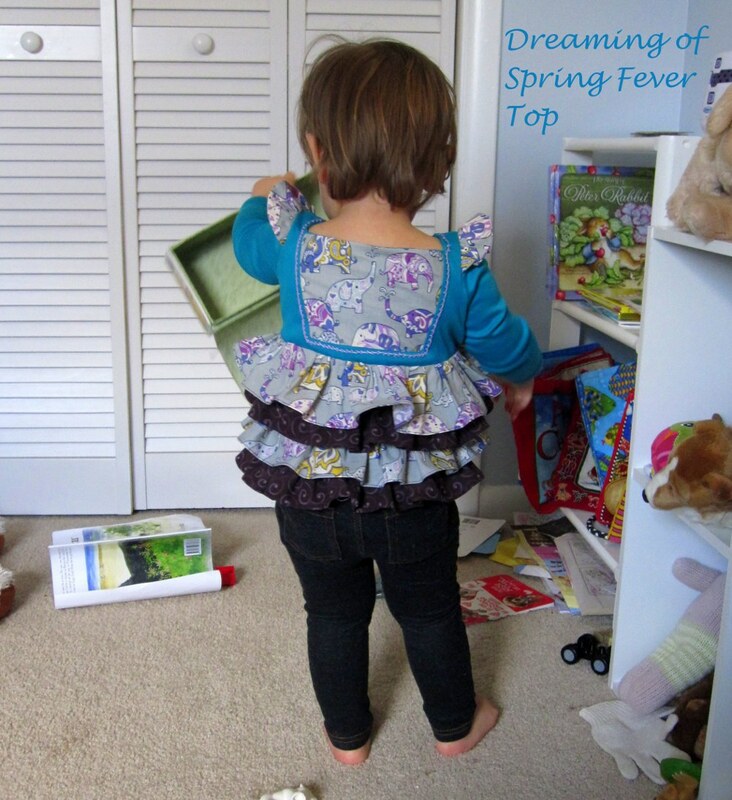 Instead it’s the Dreaming of Spring Fever Top. It’ll be some time before we can be outside without jackets or even short sleeved indoors so I gave the top long sleeves. 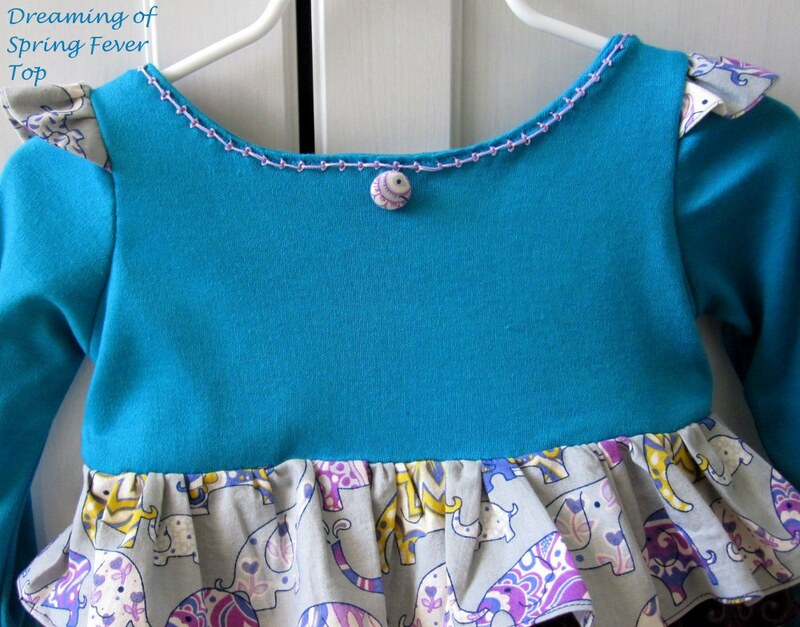 I had a ton left over so this is the same blue-green knit I used for the Elephant Party Dress. 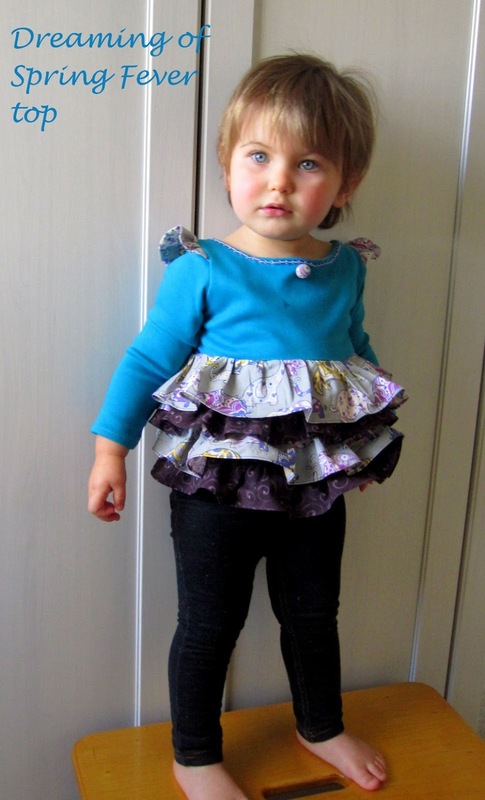 The ruffles I made the same way Jess did her skirt, but shortened the width of each row. The grey elephant fabric is the last little bit that I had left over from the Purple Elephant Jacket and the purple swirl fabric was just an old remnant I’ve had around that I used as filler and a little bit of contrast. I shortened the bodice quite a bit so the cotton ruffles wouldn’t drag down the knit top. I left the bib on the back, but squared it off a bit and didn’t cut out an opening for buttons. I used the grey elephant fabric for the bib and found I didn’t want to interrupt the fabric or cut anything away. Luckily, since the top is mostly knit there is more than enough room for Bean’s head to come through without an opening. I also used the grey elephant fabric for flutter sleeves. The front I wanted to leave plain, but I decided last minute (wasn’t this whole crazy thing last minute??) to add one button. It’s one of the elephant’s eye balls, hehe. Speaking of last minute, I originally thought the deadline was 8am on Friday which was the deadline during the last season, so I worked my tail off sewing this puppy Thursday night. Later I realized the deadline wasn’t until midnight on Friday so of course I decided to add MORE to the top. My original design had embroidery around the back bib instead of the ruffles Jess used. I took advantage of the extra time I had to do a quick raised chain stitch around the back bib and front neckline. I’m so happy I had the time because of love this detail. Bean is still impossible to pin down for a photo shoot. I finally succumbed to dragging the stool into her bedroom and letting her stand on it. This is usually a no-no when the stool is in the living room so that’ll be fun to try to enforce now, hehe. She was obviously very excited to be up on the stool and be able to (just barely) see out the window. Spring will be here soon and we’ll be able to be outside – not just peek out the window. Lets hope…. Alida Makes is in the middle of a fun series. 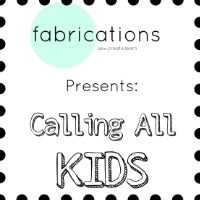 There are some sponsored prizes for linking up your kids clothing projects. I’m linking up and you should go check the other posts out! So fun! 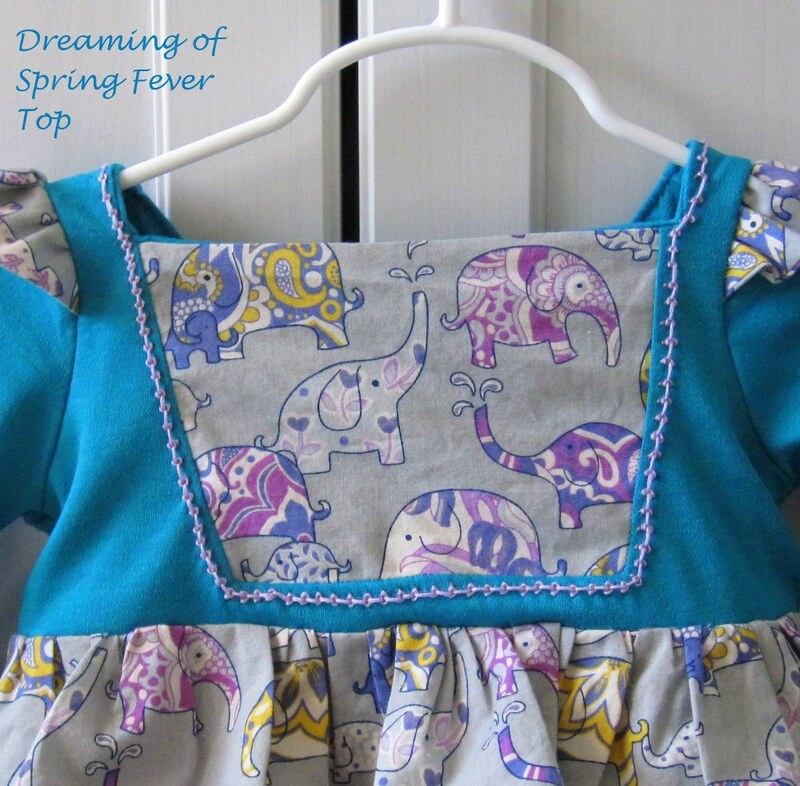 That elephant fabric is gorgeous! Love how you squared the back too. I'm glad you had time to do the extra's as well. That embroidery looks amazing on it! Knowing when you started this completely stressed us out!! Way to pull it off….with time to spare :). That blue is one of my favorite colors of all time. 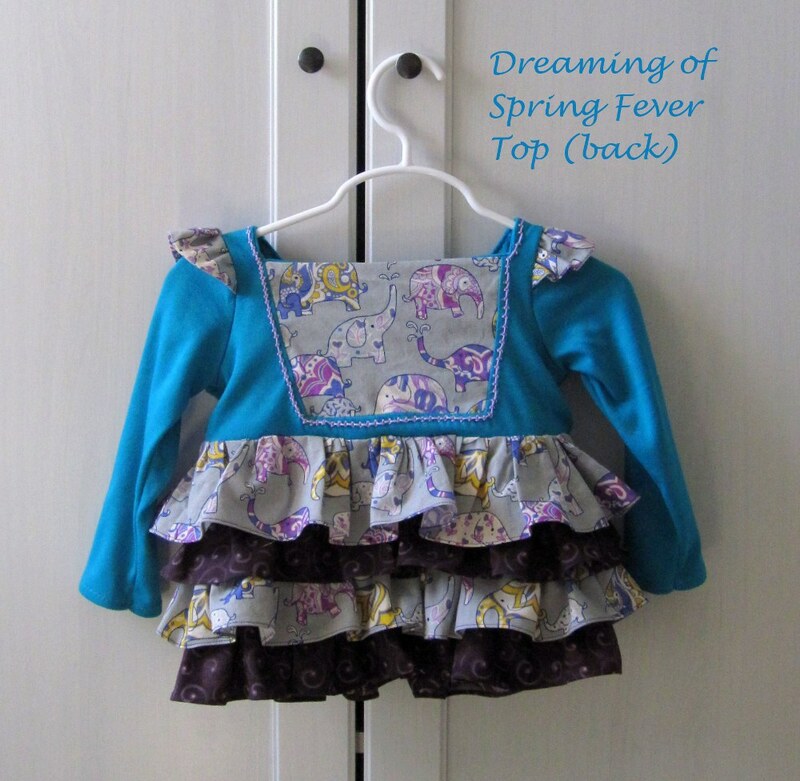 The raised chain stitch makes this shirt so special. You really did a great job! This is ADORABLE! I love how you shortened the bodice, the proportions on this look perfect. And I know just what you mean about using a prop like that to get them to stand still, the first sewn items I ever photographed were of mine on the kitchen chair! Hey, whatever works!